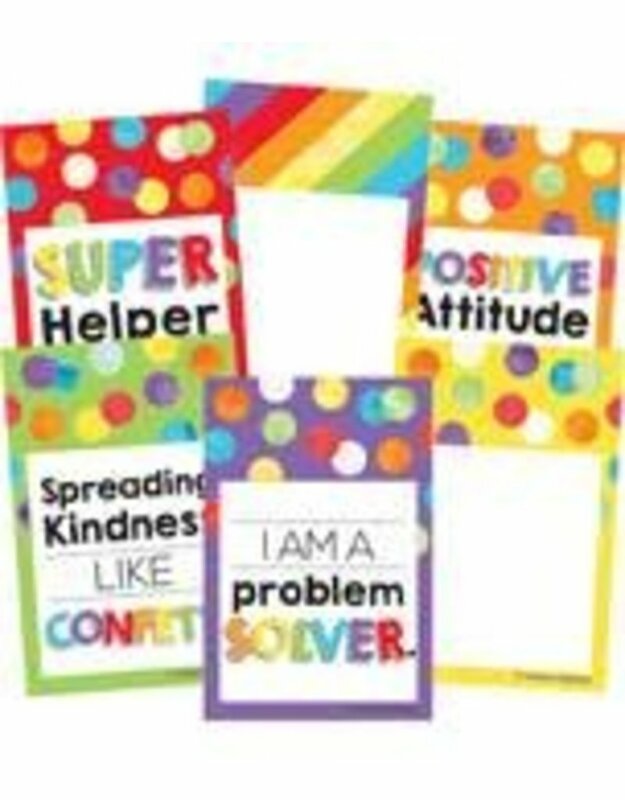 The Celebrate Learning Reward Tags mini Colorful Cut-Outs(R) pack includes 6 each of these messages:- I Make Good Choices- I am a Problem Solver- Super Helper- Star Student- Good Listener- Spreading Kindness Like Confetti- Positive AttitudeThe also pack includes 7 blank tags. Whether you’re creating a positive classroom display or motivating students, Carson-Dellosa’s mini Colorful Cut-Outs are the ideal addition. Be sure to browse coordinating Celebrate Learning classroom décor to create a cohesive theme.